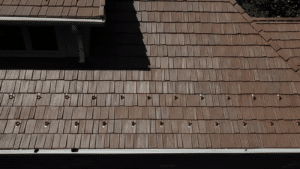 Imagine severe weather significantly damages your real cedar or asphalt shingle roof. Headaches abound. You’re worried about keeping your home safe while dealing with the hassles of replacing your roof and dealing with the insurance company. Now, envision those headaches disappearing. If you’re fortunate enough to live in the Chicagoland marketplace, Liberty Restoration Group can make that happen. During the past year Liberty Restoration Group has installed more than 25 DaVinci Roofscapes roofs on homes damaged by severe weather. Why DaVinci? 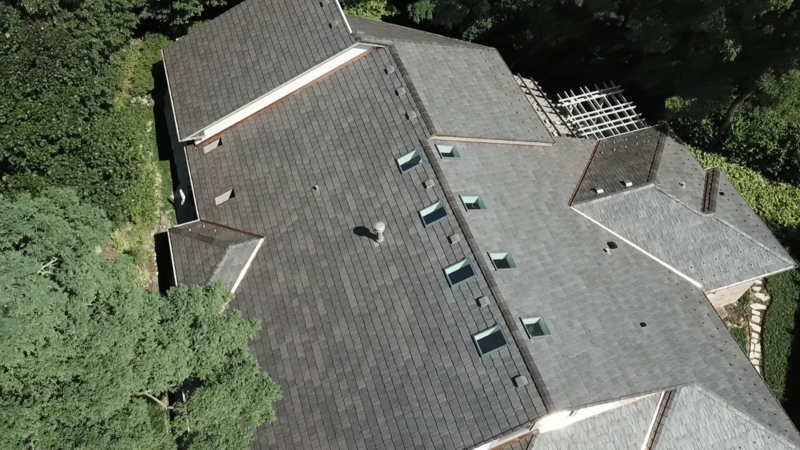 Because Liberty Restoration Group has discovered that the wind, hail and fire resistancy of DaVinci composite roofing products make a significant difference to homeowners — and their insurance agencies. The leader in composite roofing for nearly two decades, DaVinci composite slate and shake products defy the elements for decades of enduring and worry-free beauty. Resistant to fading, rotting, cracking and pest, plus high winds, hail and fire, DaVinci roofing comes with a Lifetime Limited Material Warranty. The stylish Bellaforté tiles primarily installed by Liberty Restoration Group make uncommon beauty considerably more attainable for homeowners across the nation. 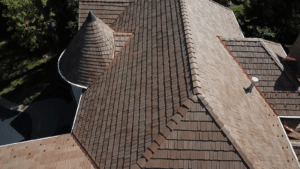 Roofers at Liberty Restoration Group pride themselves in being able to help homeowners add value to their home exteriors with roofing replacement projects. “We had one homeowner who was ready to sell his home,” says Kim. “The cedar shakes on his home were not well maintained and had a lot of end rot. “Quite simply, he wanted to establish more value in his home. We were able to get his insurance carrier to pay for a full re-roof and he went with the DaVinci Bellaforté Shake product and was extremely happy. Headquartered in Des Plaines, Illinois, Liberty Restoration Group also has offices in Rockford plus a branch office in Brookfield, Wisconsin. “We started selling DaVinci composite roofing in the Chicagoland area, but we’re now selling it at all of our branches,” says Kim. “People in every marketplace recognize that there’s a very strong return-on-investment when selecting a DaVinci roof.